Brightening solution + peeling for luminous, even skin and targeted action on dark spots. The skin regains and maintains its translucency, even tone and radiance. Brightened complexion, reduced colour of dark spots. Acid complex - Immediately exfoliate and encourage cell renewal (glycolic, malic, salicylic acids). 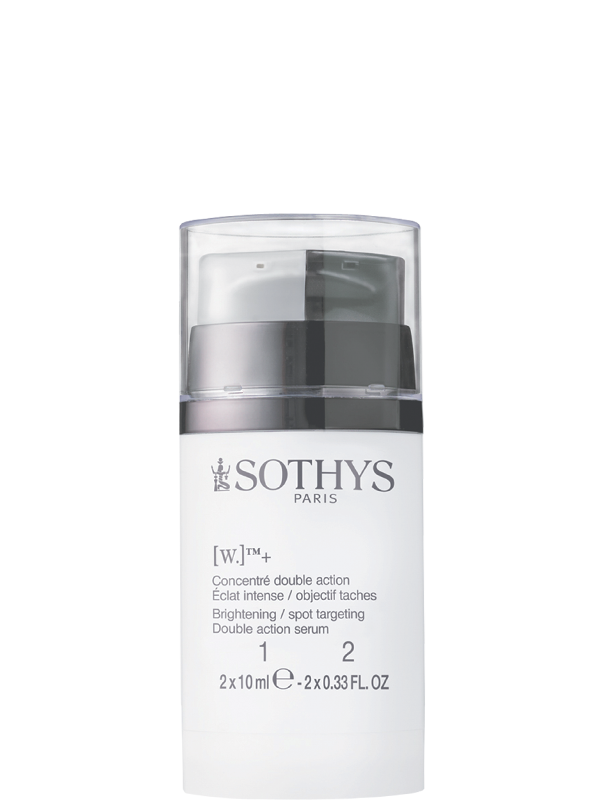 The skin regains and preserves its transparency, uniformity and radiance with this anti ageing dual pump serum. Used morning and night to intensely brighten the skin. The day serum, based on the W+ complex and cell boosting H2CR maintains skin radiance. Brightening solution: For overall radiance – apply in the morning to entire face. For targeted action on dark spots – apply directly to dark spots, morning and evening. Peeling solution: for visibly luminous skin. Apply in the evening to entire face.